You may have noticed that the topic of honeybees has been popular in news channels recently. The health of honey bee hives is declining and fewer colonies of honey bees result in the disruption of vital links in our food chain. I was surprised to learn from this Whole Foods article that 1 out every 3 food bites is a result of honey bee or other pollinators. That is an incredible statistic! What can we do to help the honey bees? For starters, awareness of the issue is the first step. So give yourself a pat on the back– you’ve completed step 1! We can support local beekeepers, buy products made by those working to improve the conditions for honey bees, and there are even basic steps we can take at home, such as planting flowers, fruits and vegetables that are favorable to honey bees. 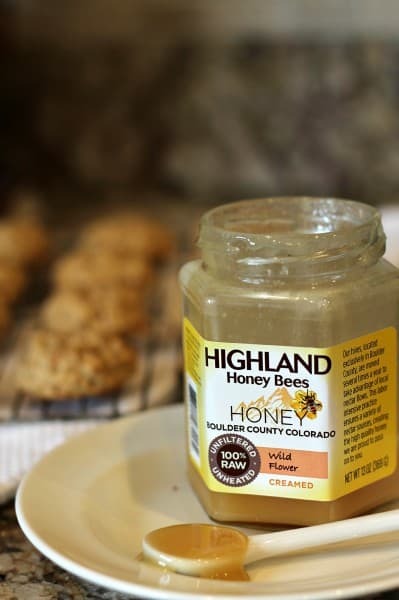 #WholeFoods kindly introduced me to honey made by Highland Bees, a company in Boulder, Colorado whose owner, Tim Brod, is taking beekeeping to a new level. He produces a raw, creamed honey that tastes a far cry from the standard honey you might find on a typical grocery shelf. Highland Bees honey is smooth, creamy and is as close as it comes to the honey straight out of a hive. There is no heated processing, a key element that sets this honey apart. Heat changes the quality and taste of honey but many large honey-producing companies heat their honey to assist in production (picture the ease that warmed honey flows as compared to room temperature honey) and to prolong shelf life. I made a taste test at home between my generic honey (yup, in the cute little bear jar) and Highland Bees honey and I was taken back by the difference. There was a bitterness I had never detected before in the generic honey that, when compared to the floral taste of Highland Bees honey, made me wonder how I had missed out on this “real” honey for so long! I think this honey would be beautiful drizzled over some cheese and served with figs. 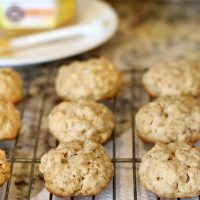 I wondered if baking with the honey would cause that note of honey to disappear or if it would remain and I was pleasantly surprised by the prominent honey flavor in these cookies. 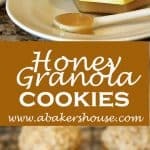 This recipe from the Whole Foods site makes a honey granola cookie pairs nicely with a cup of tea. 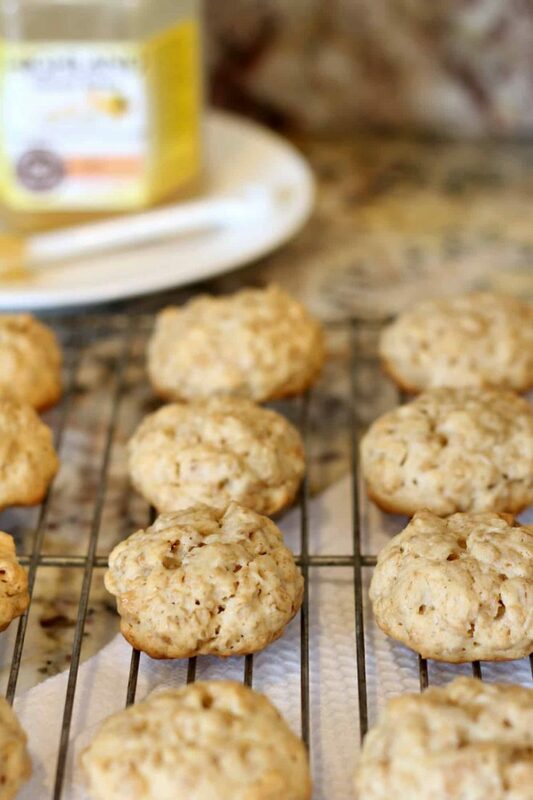 Try it with some oats and raisins thrown in and the moisture returns to these cookies. If you are searching for recipes without added granulated sugar, this ingredient list will please you. 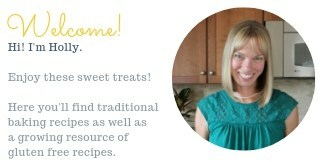 And if my part in helping the honey bees means eating more cookies, then I am happy to help! Blend the butter, honey, egg, and vanilla in a stand mixer (or use a hand-held electric mixer). On low speed add the granola, oats and flour. Mix until just incorporated. Add the raisins, if using. Drop in small rounds onto a prepared baking sheet covered in parchment. Bake at 350 for 16-18 minutes or until barely browned. Cool on a wire rack. Makes 2 and a half dozen. Whole Foods welcomes you to try your local honey and other specialty products and has generously offered a $25 gift card to one reader. Enter the Rafflecopter below for your chance to win. The giveaway has ended. This post is sponsored by Whole Foods. I participate in the Whole Foods Brand Ambassador program. All opinions are my own. Products were provided free of charge but no monetary compensation was given. It really bothers me when someone exclaims in a horrified voice “It’s a Bee!” when it’s really a wasp. Makes me feel like the awareness level is very very low. And yes I always correct them and tell them bees are a good thing. Great post Holly. Yes, you are right, Lea Ann. There is a big difference between wasps and honey bees. Wasps give bees a bad name! Bees apparently are rather gentle and generally do not sting unless provoked. I find it amazing watching videos of beekeepers who wear little protective clothing while working with their hives. I would be covered from head to toe! Do you think they are used to being stung or that they really do not get stung that often? I’ve been planting flowers that bees love; I used to be afraid of them but realize when they are in their element, they are of no harm to me. I do know that vegans think we are part of the problem and would love to talk to someone like Tim about beekeeping; what practices are best to sustain a hive and not have bees dying. I guess there are good beekeepers and bad ones…he sound like a great one! I for one love honey. It’s on a slice of toast every morning! Wouldn’t it be interesting to learn from a beekeeper? I think we need to plan a field trip! Great post, Holly. You know I’ve never been frightened by bees, but yellow jackets drive me nuts! Hope you are having a great summer! I don’t have a link to the recipe, but one of my favorite things to use raw honey in is homemade banana bread.